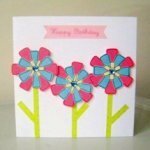 Make Your Own Birthday Cards.FREE Birthday Card Ideas. Make your own birthday cards. - not to mention FREE! - birthday card ideas! What follows will be a step-by-step tutorial for one of our birthday card ideas that you can probably complete in 20 minutes or less. Want a fun fact? All we're going to do with this one is cut and paste! No complicated stuff whatsoever. 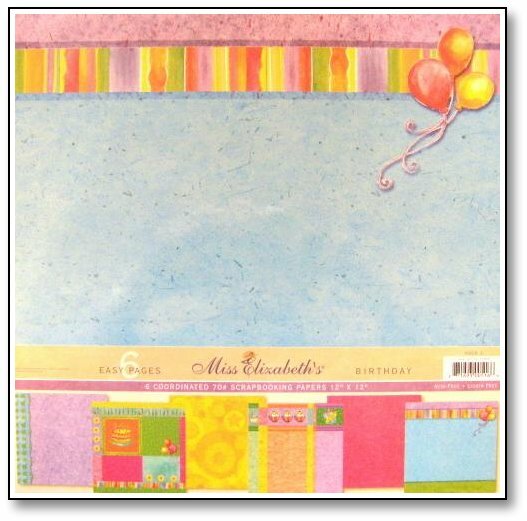 ♥ Cardstock for your card's base. I used a green cardstock for this one. No reason, just wanted it since it has been lying around for ages. 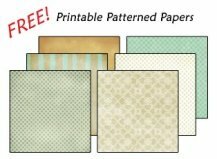 ♥ Patterned papers. It would be great if you have birthday-themed ones. They make the project effortless! I used Miss Elizabeth Birthday Pack for this project. The paper pack was definitely a wise buy for me. I can add any paper and cut out any image and the card would automatically look birthday-ish. It also has more than enough images to make it super easy for you to make your own birthday cards. It looks like this. Of course, if you don't have this particular pack, any pack will do. The key is to incorporate birthday-related images (e.g. 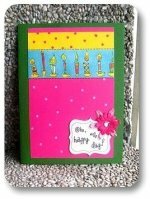 cake, cupcake, candles, party hat, confetti), embellishments or sentiments to make your own birthday cards. ♥ Adhesive. I used double-sided tape for everything except for the paper flowers where I used hot glue. ♥ Start by deciding on your desired card size and cut your cardstock accordingly. Mine approximately measures 5 x 7 inches. ♥ Pick the colors you want to work with. The good thing about themed paper packs is that you can never go wrong with your choices since all the papers are coordinated. Any one paper can look good with any other paper in the pack. I decided to work with the pink and yellow papers for this project. ♥ Measure and cut your papers. I left some space around the papers to create a border for my design. You can do away with it if you're not so fond of borders. ♥ Adhere your papers to your card. By this time, you should have a layered card with two or more colors. ♥ Pick an image to cut out from the papers and adhere it to your card. The Miss Elizabeth birthday pack is loaded with images that you can cut to adorn your cards. It has candles, cakes, balloons, ice cream, some flowers and a whole lot more. I chose the candles for this card. Nope, I did not cut them one by one. It's actually a strip of candle images and I simply cut around the rectangular strip. No intricate cutting for this one. 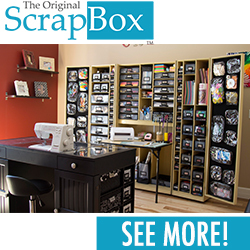 ♥ Write a sentiment down on your chipboard piece. I highly recommend using a quick-drying pen. It will definitely save you from any chances of messing it up. Oh and start with a pencil too! Don't have anything to work with? Here, you can print this in plain cardstock, cut it out then adhere it to your card using foam tape for dimension. ♥ Adhere your chipboard to your card and add in embellishments like paper flowers and gem stickers. And you're done! Wasn't that easy? Hope you had fun with this birthday card idea! Don't have the time to make your own birthday cards? I have here beautiful printable birthday cards for you to download and print at home for quick, last-minute greeting cards! You can also go back to our main page on Making Birthday Cards so you can choose another easy-peasy tutorial.